ELOHIM upset USAC to grab the lead in the championship series. 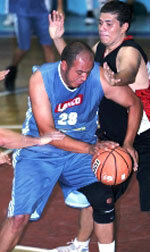 Center Bernie Diaz (200-81) fired a double-double by scoring 26 points and 21 rebounds for the winners. 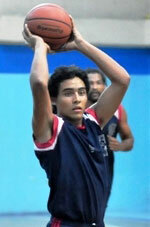 Point guard Pablo Cano (178-88) chipped in 17 points and 6 assists. Four ELOHIM players scored in double figures. The former international swingman Miguel Gonzalez (187-90) produced a double-double by scoring 16 points, 11 rebounds and 5 assists and guard Mynor Aquino (175-89) added 9 points, 12 rebounds and 4 assists respectively for lost side.